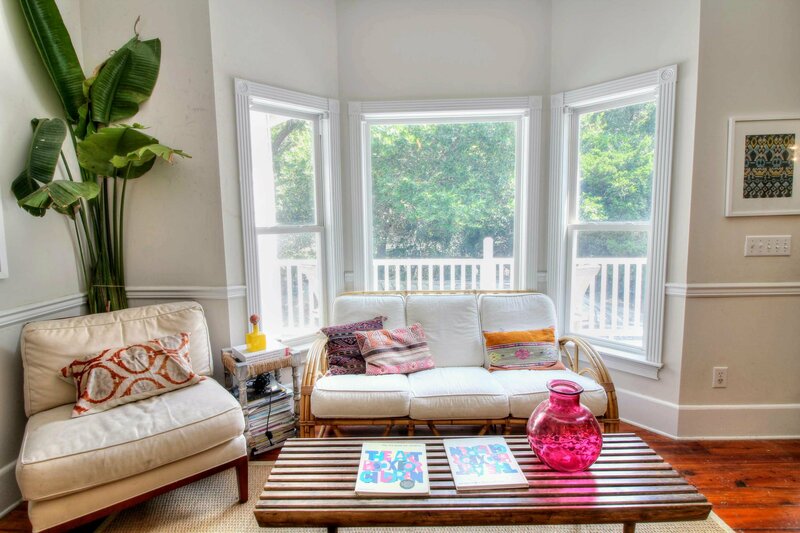 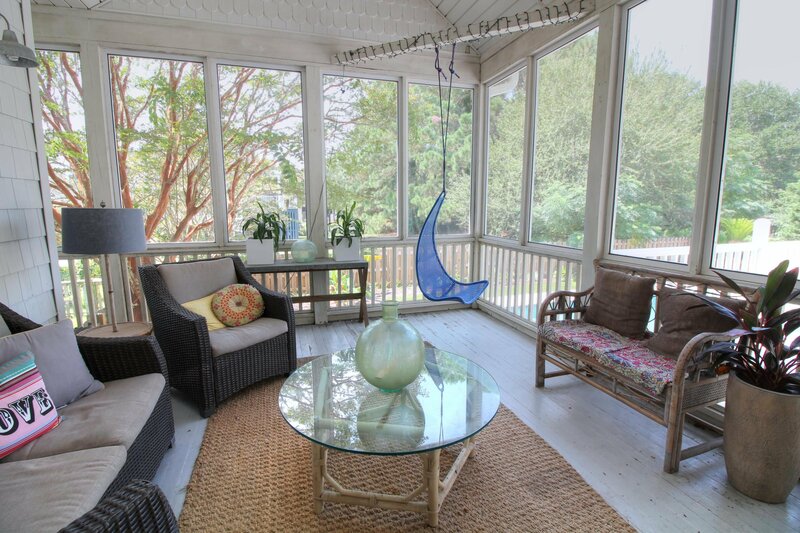 Classic Sullivan's Island beach house that has been beautifully updated and has great outdoor space with lots of porch area, a large swimming pool, and it's just a few blocks to the beach! 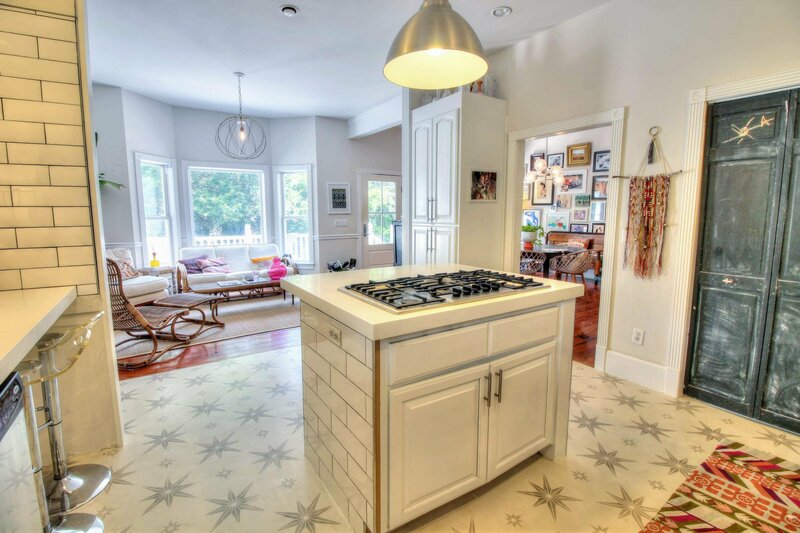 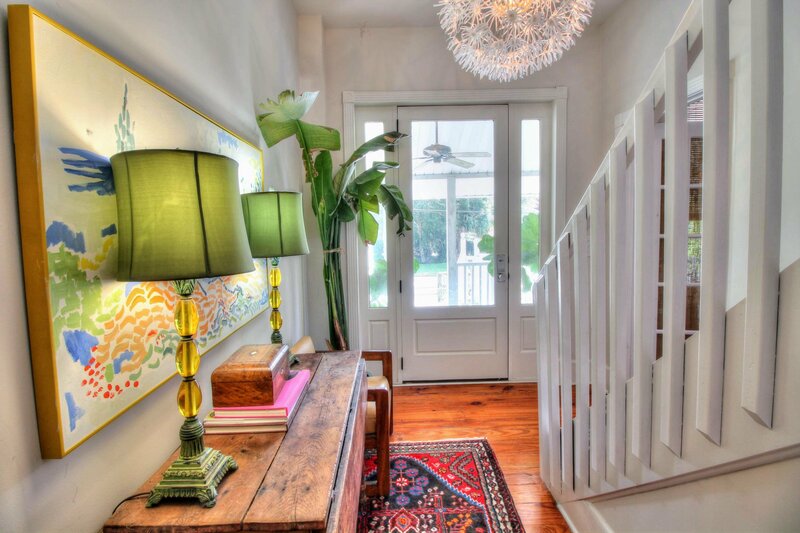 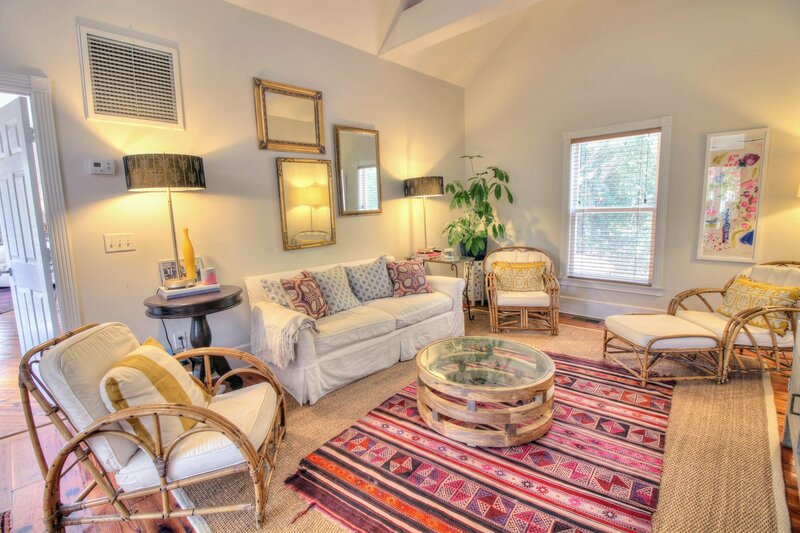 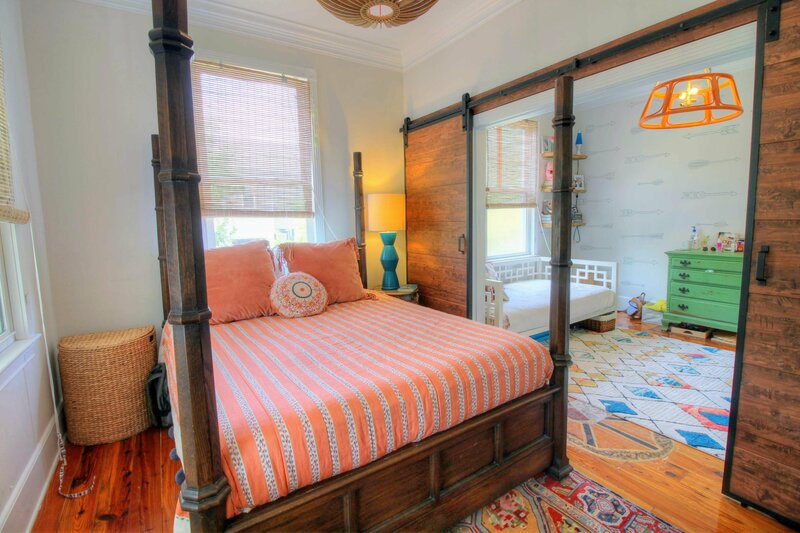 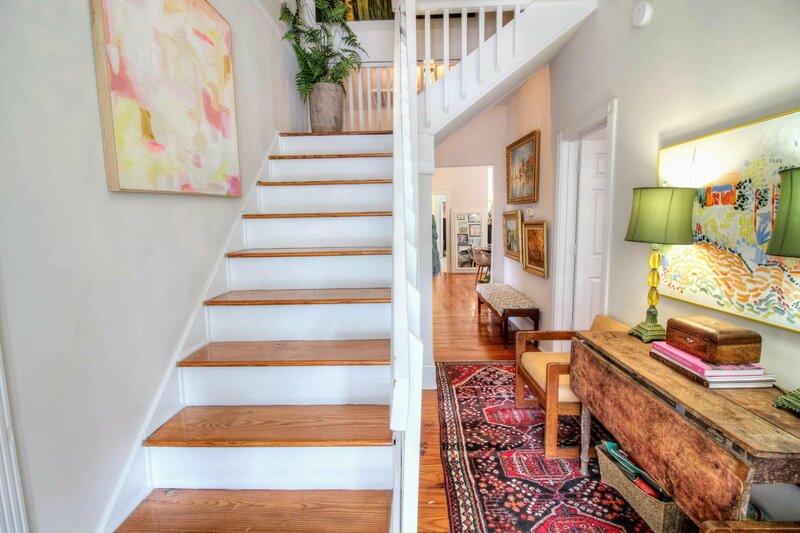 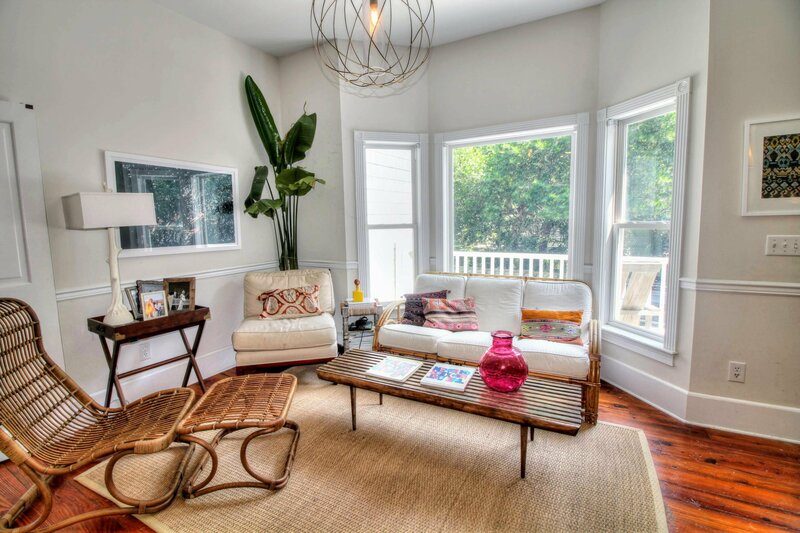 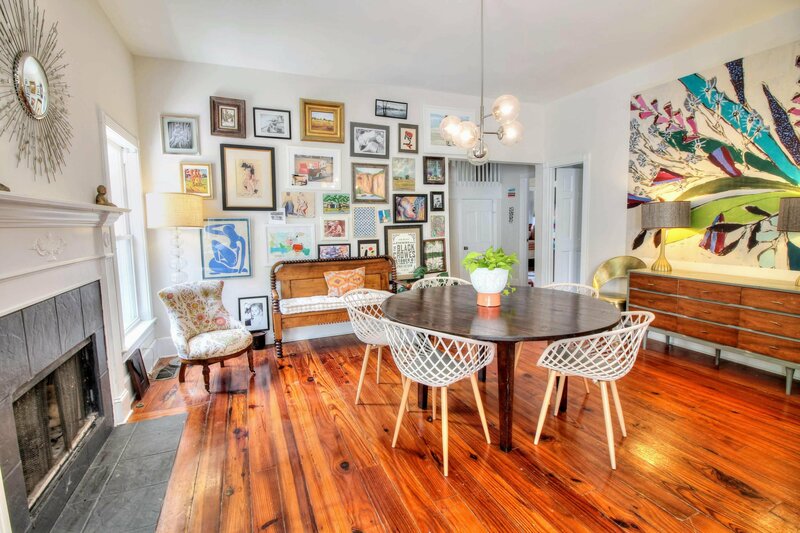 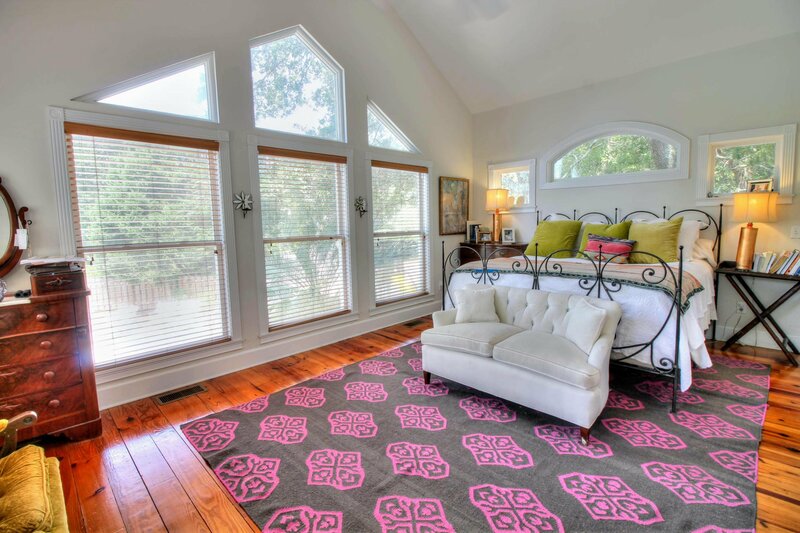 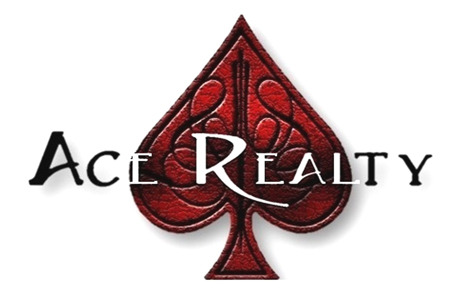 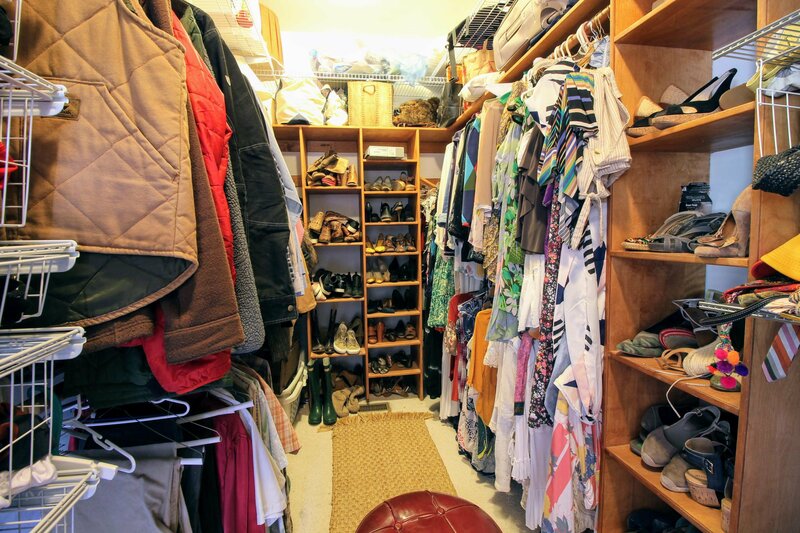 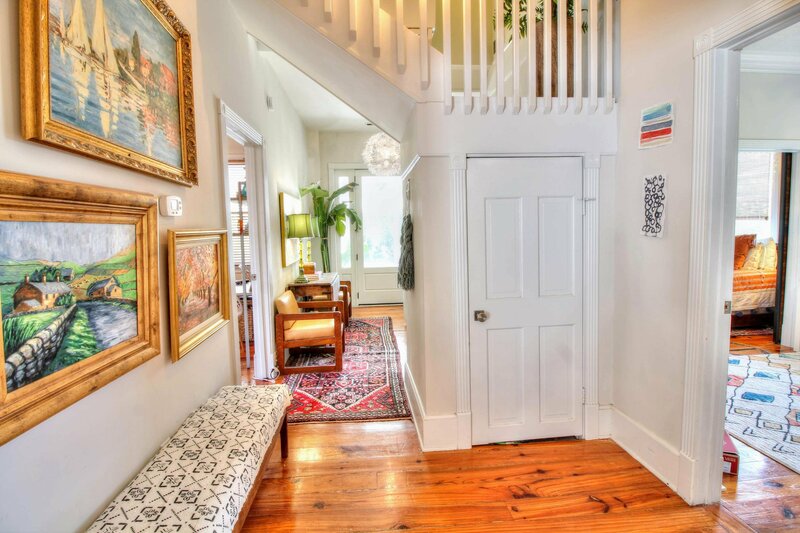 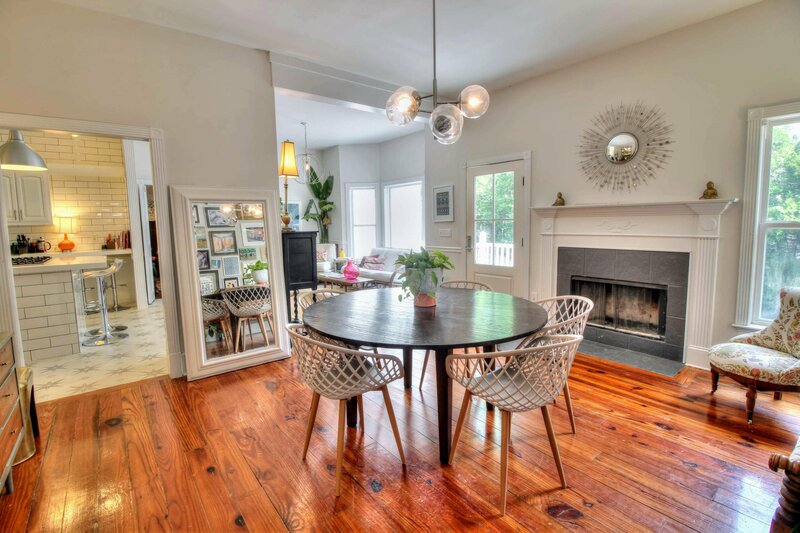 The entrance of the home has very warm and rich hardwood floors throughout and is filled with light and color. 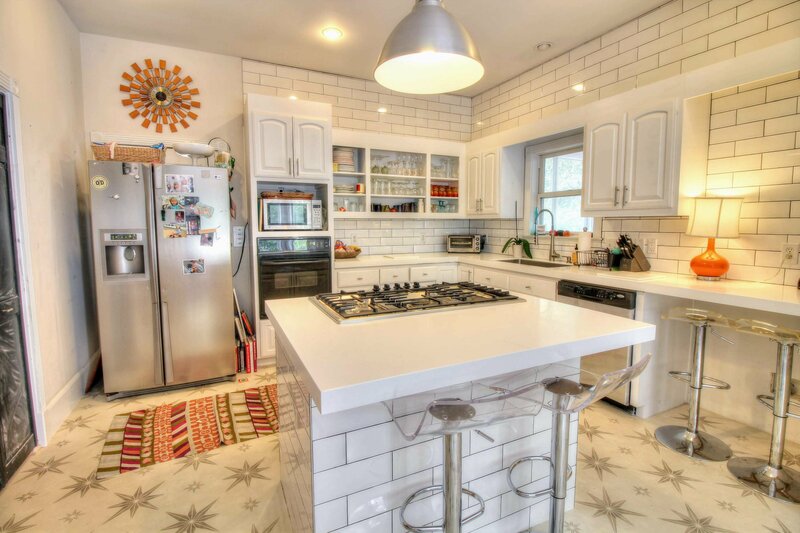 The kitchen is well equipped with a stainless gas cooktop and separate wall oven and bar seating at the island. 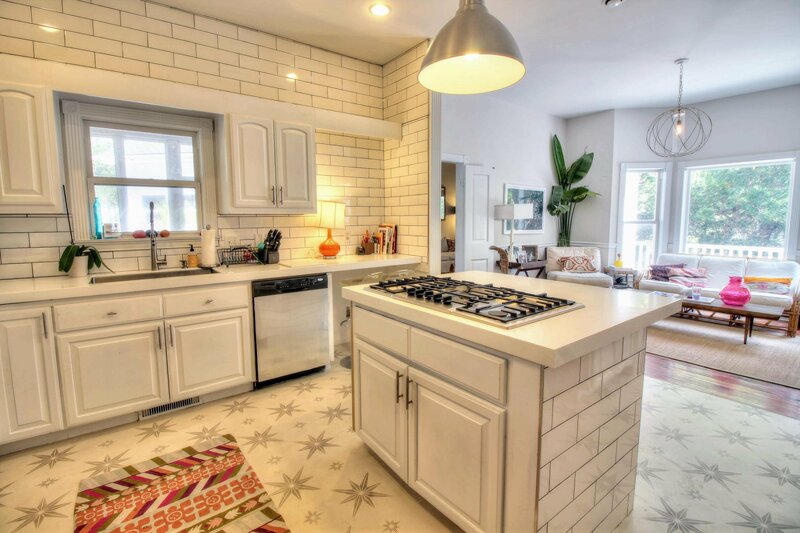 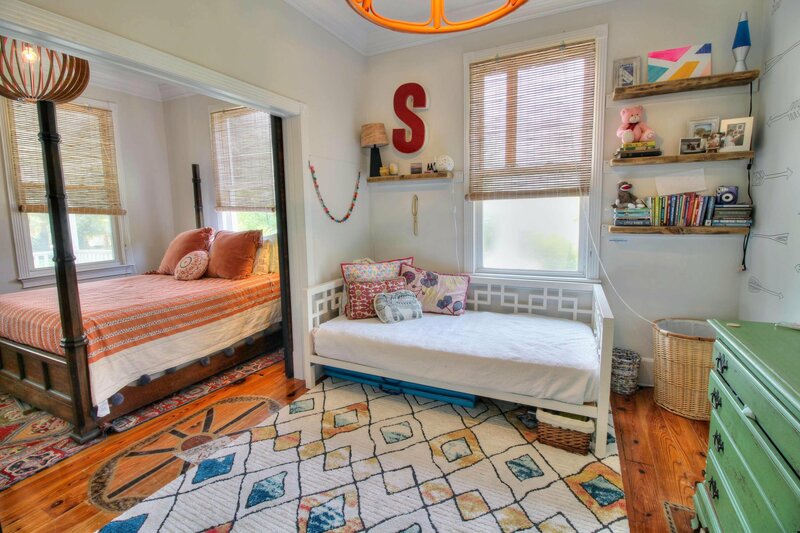 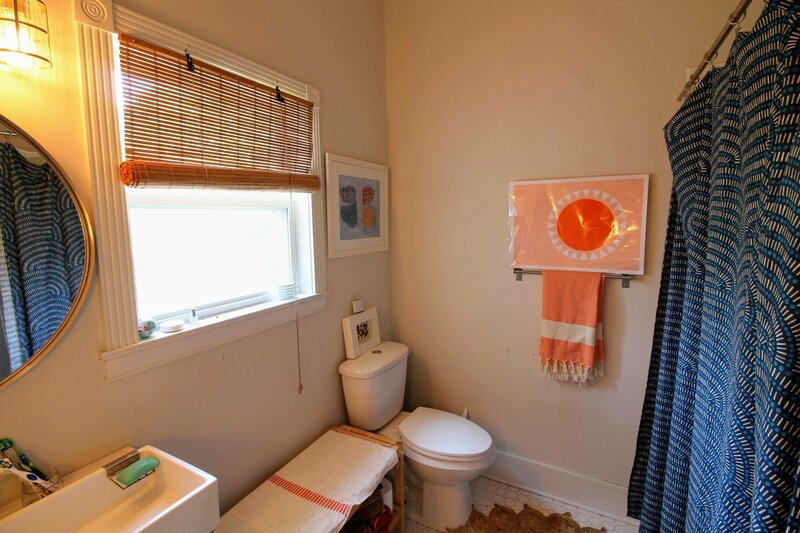 Bright subway tile and a decorative floor finish off the space, and there is also a perfect spot for a homework/study area. 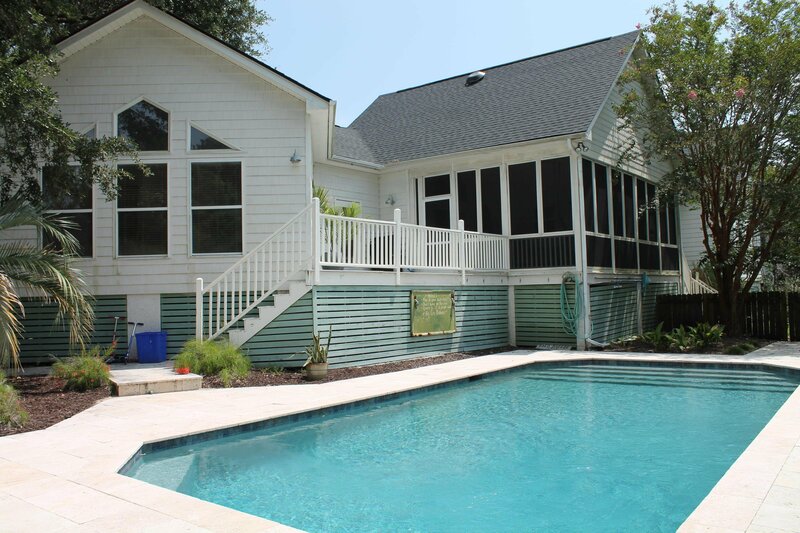 Heading towards the back of the home is the family room with soaring, vaulted ceilings, plenty of space for entertaining, and outside access to the screened porch which overlooks the pool. 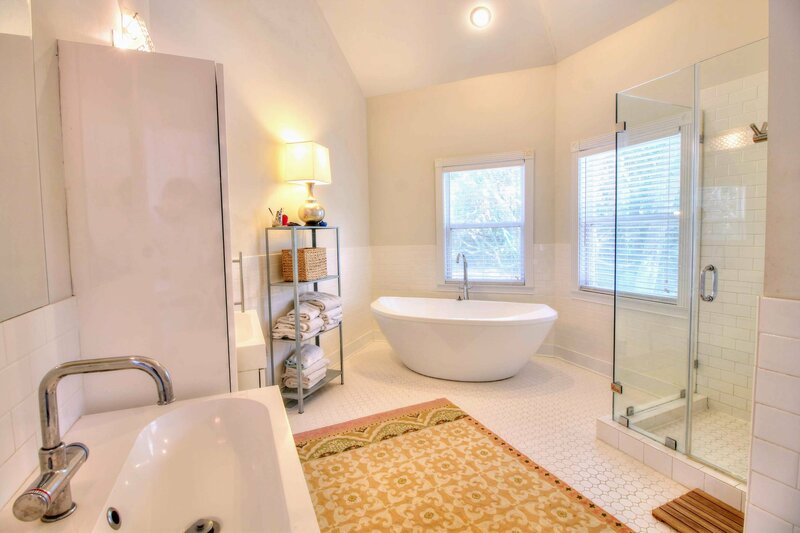 Beyond the family room is the spacious master bedroom with vaulted cei ling, beautiful hardwood floors, a large walk-in closet, and a luxurious master bath that has been fully renovated with dual vanities, modern fixtures, tiled floors and shower, separate soaking tub, and frameless glass doors. 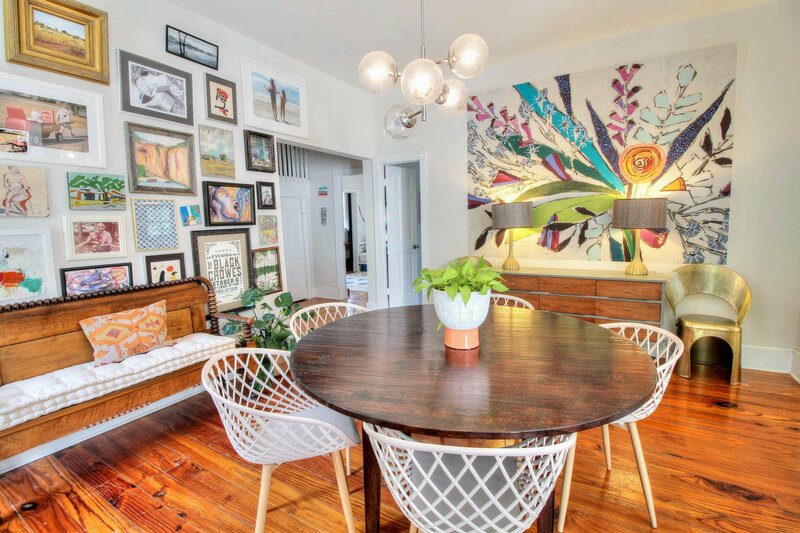 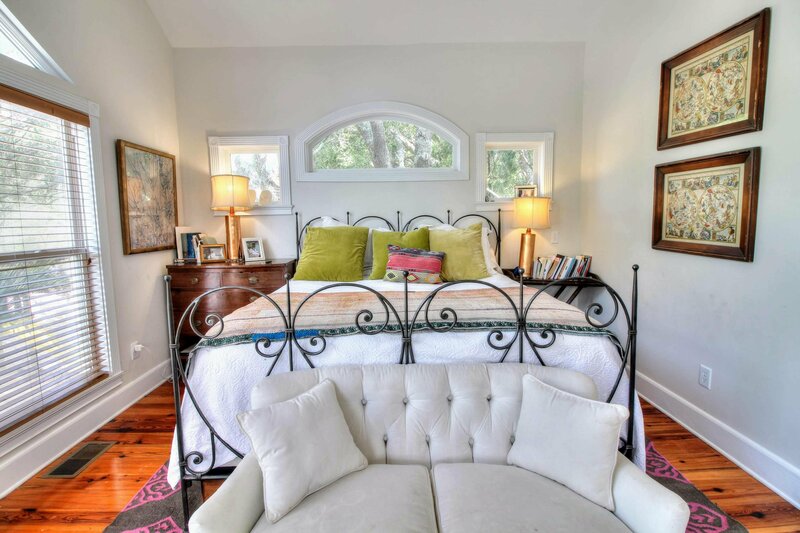 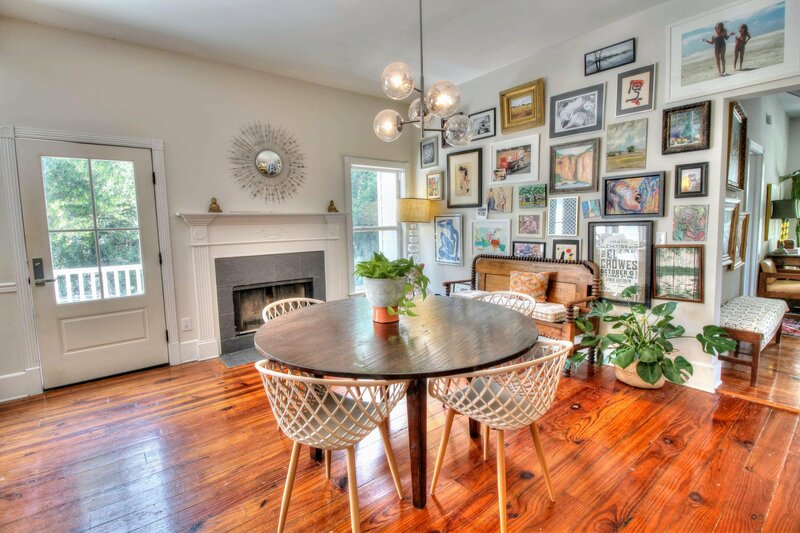 Moving to the front of the house, the guest bedrooms and hallway are beautifully decorated and feature gorgeous hardwood floors, rustic barn doors, modern light fixtures, and tons of natural light. 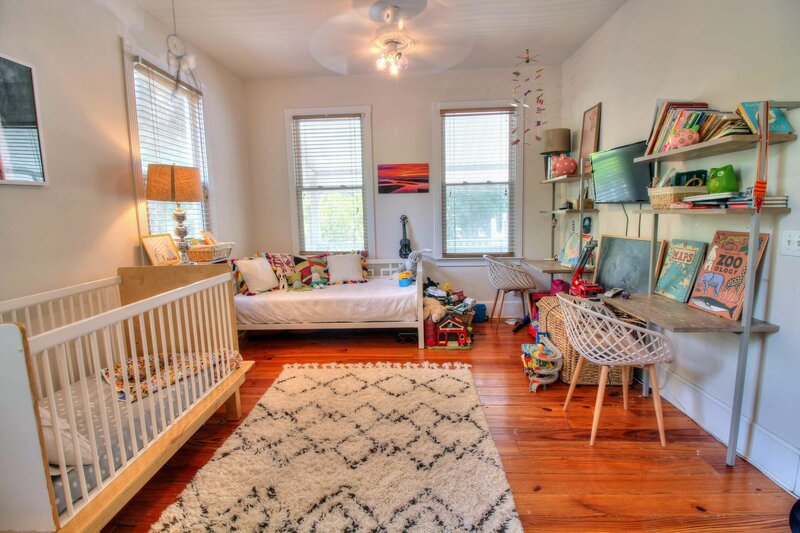 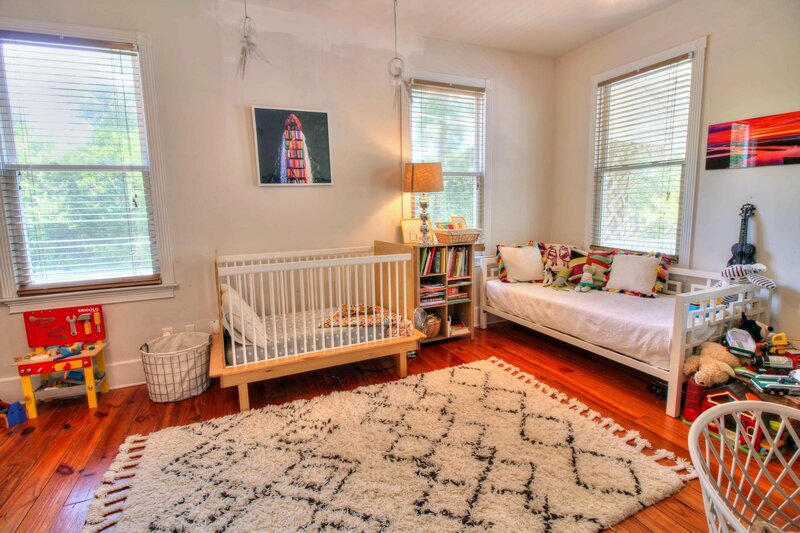 Upstairs is the 4th bedroom with a large walk-in closet and renovated full bathroom, but it would also make a perfect kid's playroom or a private home office. 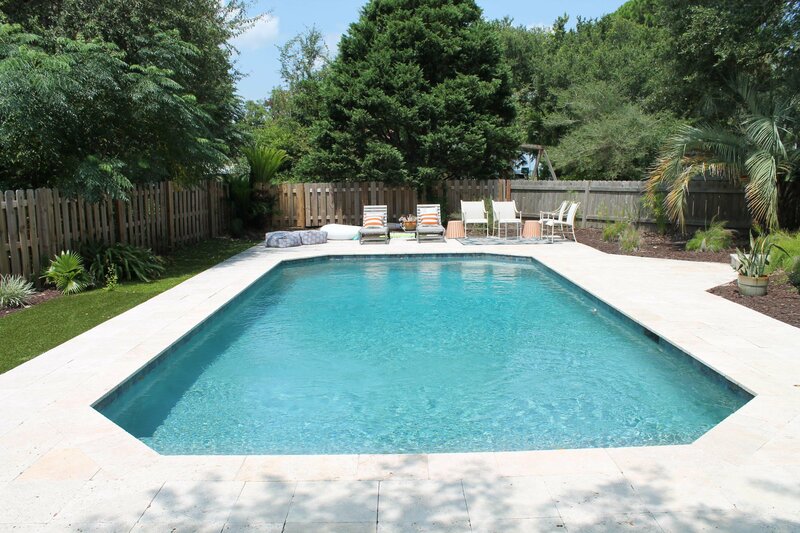 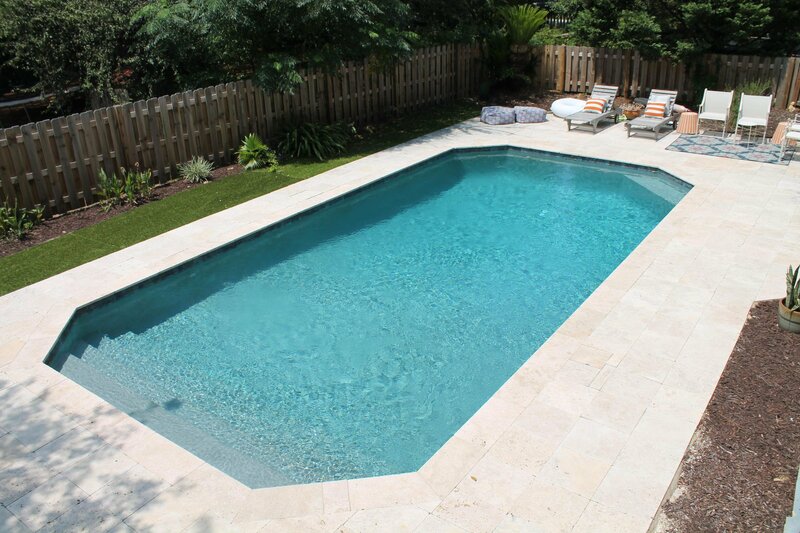 Back downstairs and then outside, the screen porch and open deck flow out to the newly-reworked and very large gunite swimming pool which is finished off with stunning Travertine decking. 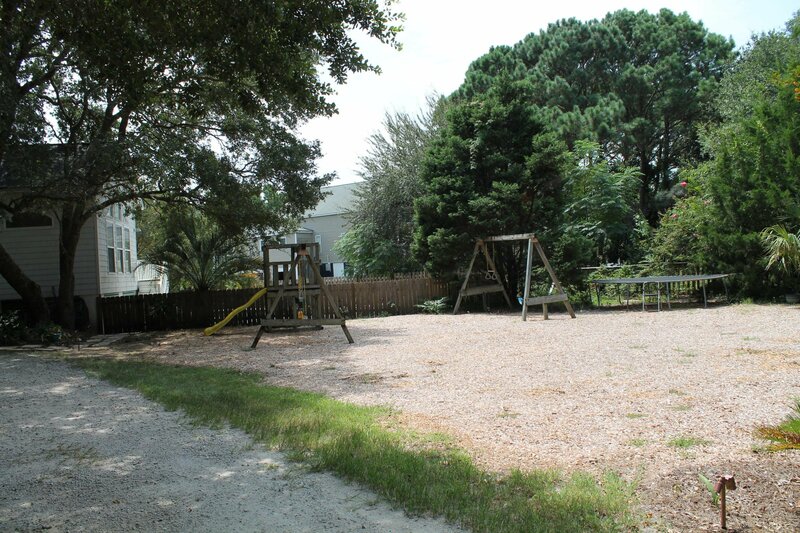 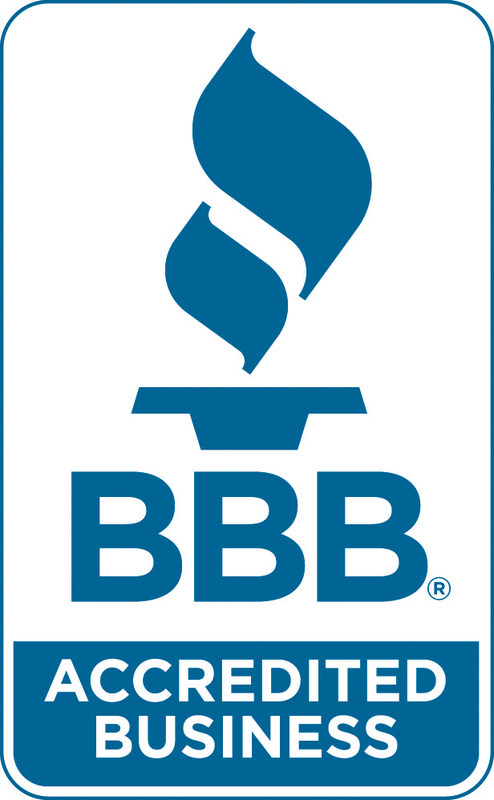 The back yard is huge with plenty of room for parking, playsets, trampolines, and anything else you can imagine. 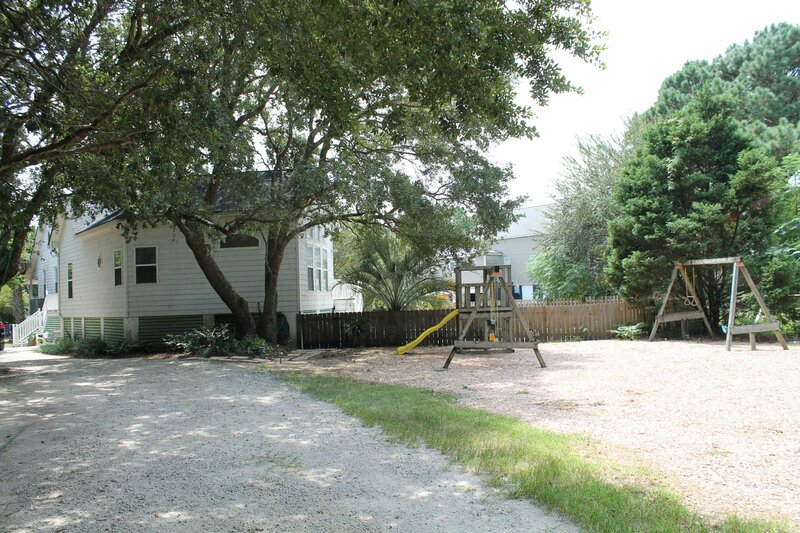 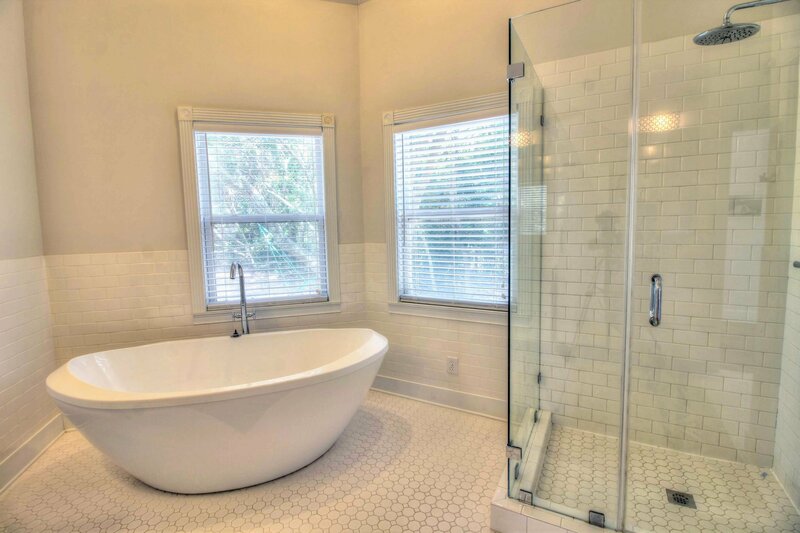 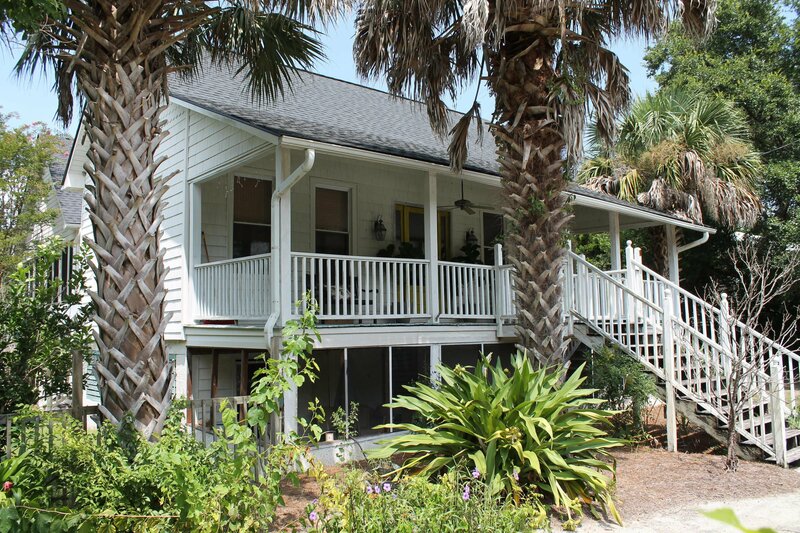 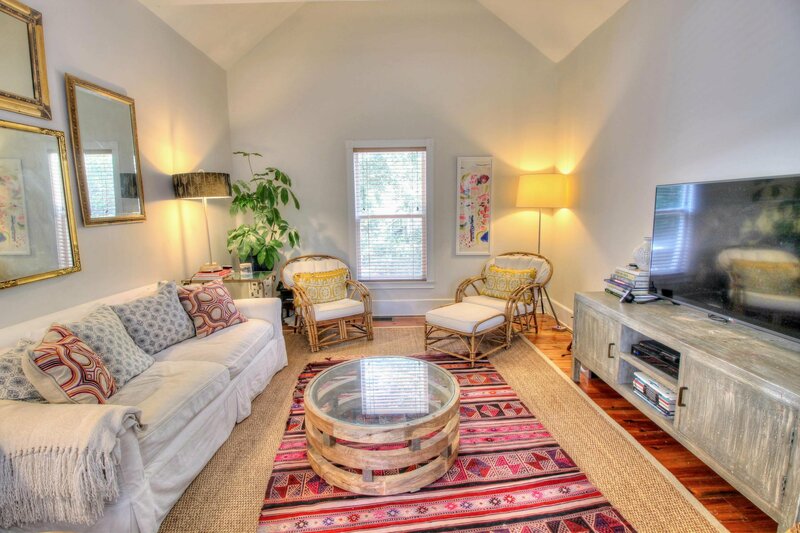 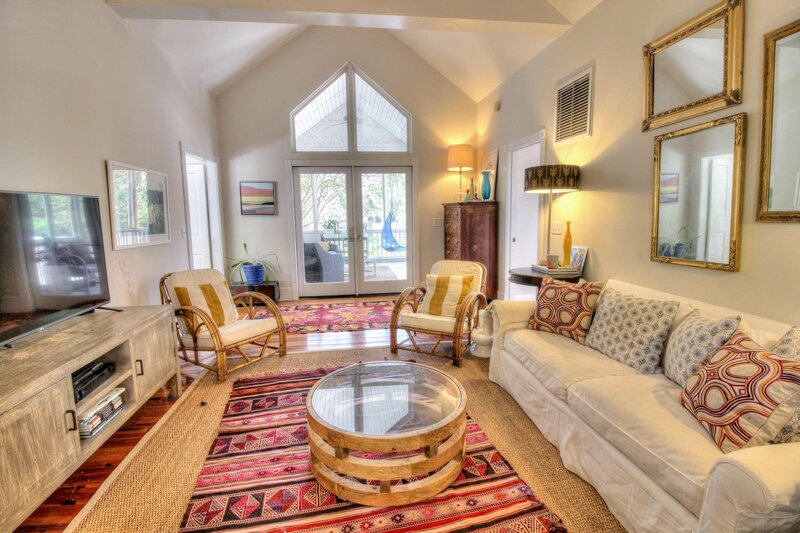 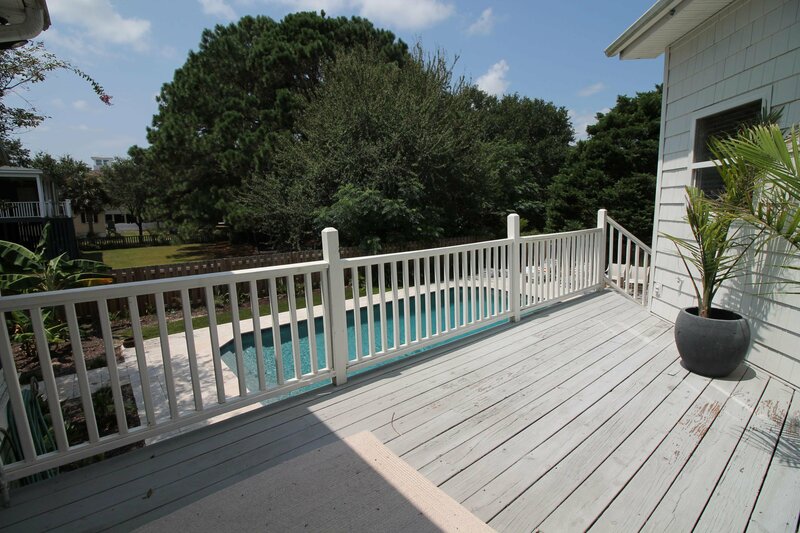 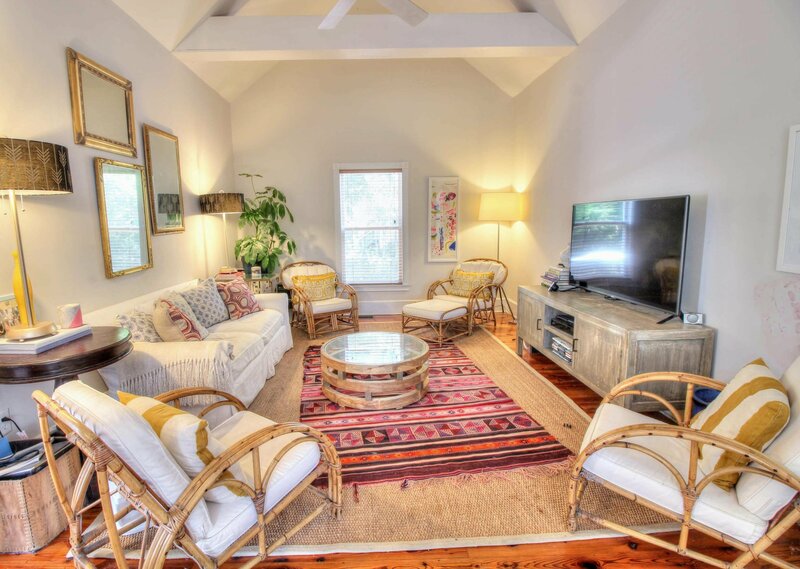 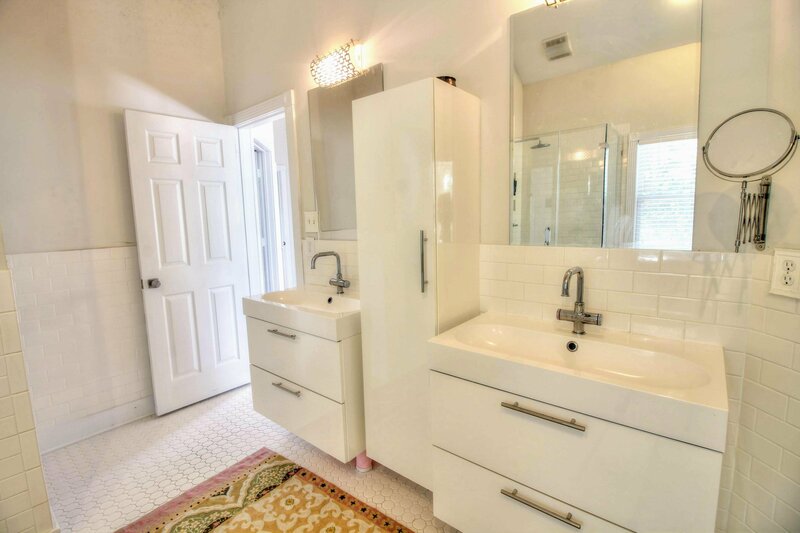 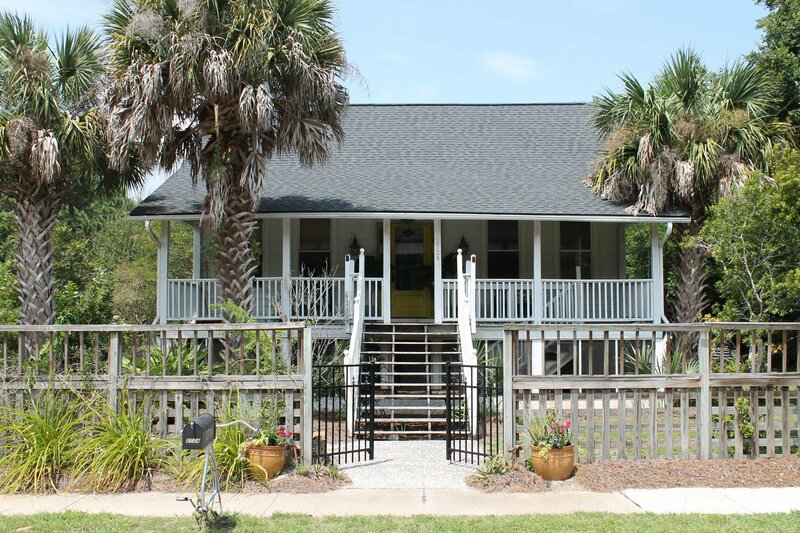 Come see this fantastic combination of classic Sullivan's Island style combined with modern conveniences of bath, kitchen, and swimming recreation.